Two companion books that tell the story of the Boxer Rebellion in China (1899-1900), an anti-imperialism and anti-Christian missionary movement, from opposite sides of the movement. In Boxer, a foreign priest and his soldiers smash up Little Bao's peasant village. Little Bao learns the ancient magic of calling up the ancestor gods and leads a rebellion that eventually reaches Beijing. The story is violent, bloody, and does not have a happy ending. In Saints, Vibiana is an unwanted and unappreciated girl in a neighboring village who converts to Christianity and finds some purpose in helping the foreign priest and his flock. Joan of Arc becomes her guiding spirit as she joins the fight against the Boxers. The story is violent, bloody, and does not have a happy ending. Because of the violence, this is probably more suited to older audiences, though my ten year old read it and appreciated it. 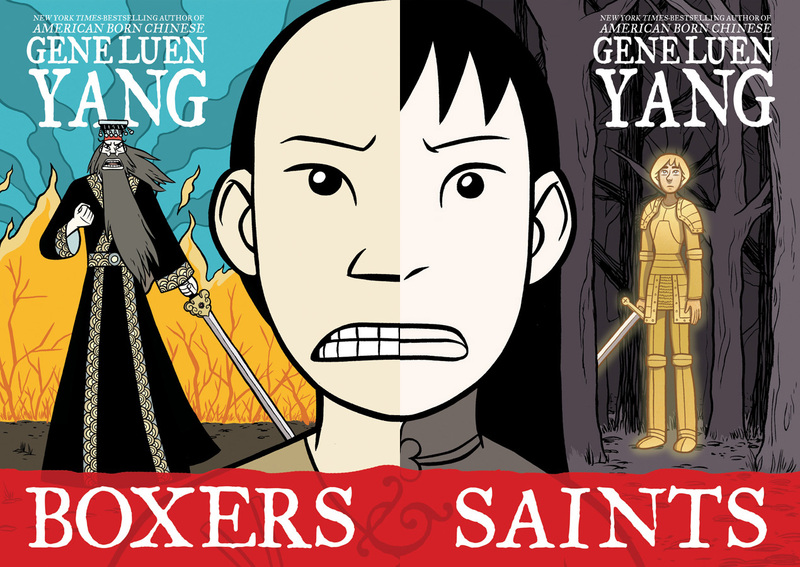 I learned a lot about this period of Chinese history and enjoyed the parallel story arcs that intersected with each other and how well Gene Yang told both sides of the story. A superb, moving & powerful story of an African-American infantry regiment in World War I that faced racism at home and abroad while fighting for the Allies. Stymied at every turn while training in the U.S. (not given adequate equipment, beaten up and abused by racists, refused any type of parade or honor), in transit (sent over to Europe in a broken down ship), and upon arrival (put to digging and grunt work), the 369th Infantry Regiment nevertheless served in combat longer than any other American unit, lost no men or ground, and fought through some of the most bloody battles of WWI. 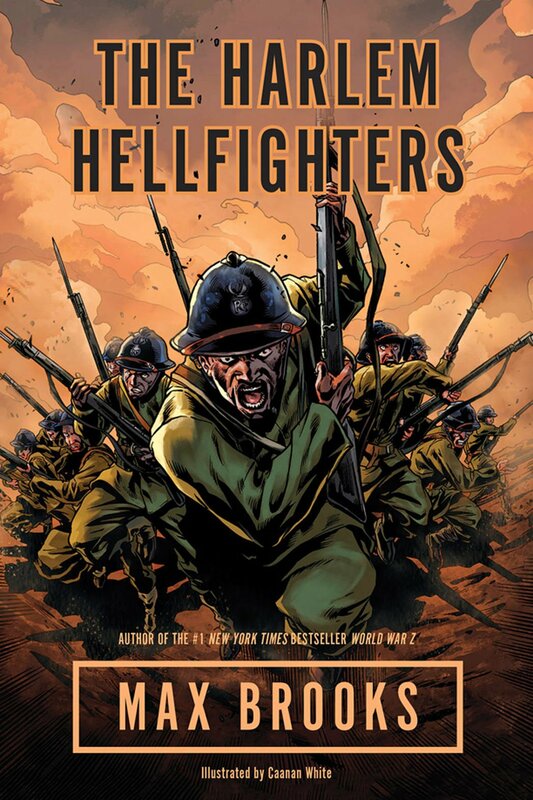 The Germans called them The Harlem Hellfighters. When they finally came home, they were treated to the parade they were denied upon leaving, but even still, they faced discrimination and saw some of the U.S.'s worse years of racial violence. Graphic artist Caanan White did a masterful job of conveying the violence and mayhem of war through his dramatic and graphic black and white art. Sometimes the panels were difficult to read because so much movement was going on in each panel. Like a puzzle, these complex images invited the reader to decipher what was happening, sometimes to our dismay and horror. P.S. The #WeNeedDiverseBooks Indiegogo campaign to raise money to increase diversity in kidlit has three more days to go. Please check it out and consider supporting this important cause. 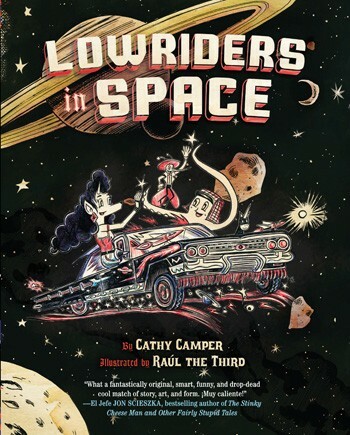 Great review of diverse graphic novels, Sylvia! I really must check out Boxer. We've learned so much about the Boxer Rebellion recently that it'll be a nice complement to our knowledge. You'll have a lot more background on it than I did when I read those, so I'm sure you'll appreciate them even more! Compliments to you very structured blog tips. I could not comment on that page, so I just say 'hi' here on your latest post. Thanks for sharing so many useful tips and links. I have booked mark your page and link to it from my blog list. Thank you so much, Susan. I'm glad you're enjoying the blog and best of luck to you!